Hard sided luggage has quickly become all the rage. People are in love with how much more room they can get in a suitcase that zippers down the middle and separates into two equal compartments, instead of traditional door suitcases that offer only one compartment for storage. The truth is that there isn’t actually anymore volume in hard sided luggage pieces, but the design allows for better optimization of the space inside, creating more room overall. If you are searching for a hard-sided piece of luggage in carry on size, you’ll want to consider the Samsonite Fiero HS Spinner for its durability, style, and affordability. Not only with the 20” spinner from Samsonite fit in overhead bins on domestic airline flights, but it’s also a great bag for getting around a train station, boarding a cruise ship, and loading up the car for a road trip. The hard-shell exterior of the luggage makes it virtually waterproof, so you can take it anywhere you go. While a carry on size bag like this one can follow you onto the plane, the waterproof exterior means that when your bag does make its way to cargo, your stuff won’t get wet in the belly of the airplane. Don’t be fooled into thinking these bags have no room to stuff them, like soft sided luggage does. Hard sided bags from Samsonite have loads of room inside and with the zipper mesh cover and compression straps, you can cram in as much as you need to on your travels. 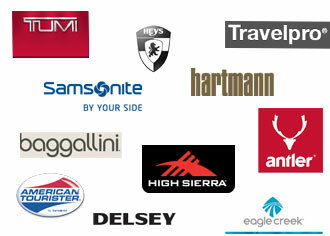 Samsonite is one of the leading hard sided luggage sellers in the world. They offer durability and style that doesn’t compare. If you need something a little bigger for your travels, this suitcase also comes in 24-inch and 28-inch sizes for getting even more stuff from point A to point B. You’ll never have to leave anything home if you opt for a bigger size. Inside, these suitcases are all the same: one side features a mesh panel that protects your clothes and belongings, and the other side offers a compression strap to hold your things in place. Some people like to use packing cubes to organize their items inside a carry on suitcase, but the mesh pocket inside this bag functions as a packing cube on one side, so you don’t need to buy more accessories to make travel easy for you and your family. There are also several pockets on the inside for organizing smaller items. The one downfall of this piece of luggage, however, is that it doesn’t have exterior pockets or spaces for accessing smaller items such as a passport or wallet. This bag comes in several colors including classic black and gray, as well as two colors that won’t make it hard to claim your luggage at baggage claim: purple and blue. The purple and blue bags are stunning and stand out in a crowd with ease. While black is a popular favorite amongst travelers, colors make it easy to find your luggage if you decide to check it for transportation. The bag features four 360 degree spinner wheels and a fully extendable telescopic handle. This means that even the carry on size has a large enough handle for even the tallest person to roll with ease. The luggage also features a locking system that can keep your belongings safe, as well as a rigid exterior body that is pretty resistant to damage, cracks, and dings during travel. This is a smart looking bag and business travelers, as well as pleasure seekers, will enjoy traveling with this bag for shorter trips. If you are a savvy packer, you can get up to a week’s worth of clothes into the 20-inch spinner. Should you Buy This Piece of Luggage? It is easy to see the appeal of a hard sided carry on luggage piece, like the 20-inch Samsonite Fiero HS Spinner. Even if you opt for the two larger pieces, the brand and the build of this piece of luggage is superior in its class. What’s great about this suitcase is that the price isn’t going to break the bank. You can get one of these great looking and functioning pieces of luggage for a lot less than you might think. And as always, you’ll find the best deals when you buy the whole set together. However, if you only need a carry on size or a medium size, purchasing them separately is affordable as well. Take the plunge and make a move to becoming a traveler who goes it alone with just the carry on luggage – the money you can save on baggage fees will practically pay for this bag in just a few trips! If you think its very difficult to choose you can go at Amazon and can get Samsonite Fiero in the 20inch, the 24inch, the 28inch. In order to determine if the Maxlite 4 was as great as it claims to be, I took it for a spin on several trips I took recently. I found the bag to be lightweight – so light that I could lift the entire bag with one finger when it was empty. This saves on baggage fees because unlike other bags, most of my baggage weight came from what was inside the bag and not the bag itself. It also meant that I could carry the bag on the airplane with me, which saved me money overall as well. I found the bag fit easily into a normally sized overhead compartment. On an economy flight I took, I had to store the bag under the seat in front of me because the overhead compartment was too small. This seemed to be a problem for a lot of people on the plane though – you get what you pay for with an economy ticket, I guess. Getting on and off the plane was a breeze and the sturdy handle made it easy to pick the bag up to get over the gap between the plane and the walkway leading into the airport. Closing the hand and locking it made it easy to pick up the bag and not feel like it was going to fall apart on me. On another flight, I did check the bag to see how it would hold up against airport security and baggage handling and it came out with a few scuffs on it, but that seems to be the normal with air travel these days. The zippers were intact, and the overall construction of the bag didn’t seem to be compromised. I’ve put bags through security before and got my items back in a garbage bag because my bag busted during travel. So I was relieved to see the Maxlite 4 holds up to going down the carousel. Traveling across the world is a better way to broaden your mind and gain knowledge about other destinations, people, and cultures; however this is always a great adventure when you have appropriate equipment for that. Based on how many things you are going to carry, how long you are going to stay or where you are heading to, it is significant to choose right luggage that meets your requirements. 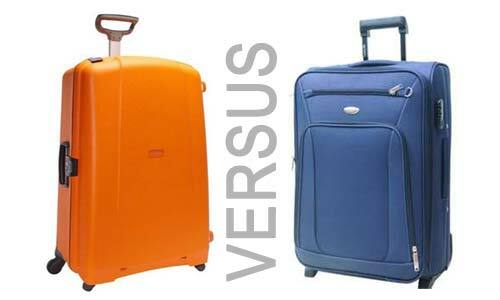 These things will determine which size of luggage is a better pick for your travel. Before buying luggage, you should have a firm idea of what you exactly want to use it for. When you travel only occasionally and possibly won’t carry lot things along with you, it does not make any sense to invest in a huge set that will never be used. On the other side, when you often travel but just take a carry-on, you must know what size luggage you want for overhead compartment suggestions. There are huge other things to consider, while the size of any piece of luggage will make you know where it could go on the plane. Let’s check out the three common luggage sizes to carry onto the airplane. Small bags, typically no bigger than a smaller backpack or a medium sized pack, will perfectly fit under the seat before you. Most airplanes only enable one carry-on per individual; however that doesn’t comprise of a purse or smaller bag containing personal stuff for men. Some luggage collections come with the small bag that appears as it is of a size of a purse that can be used for passports, charging cables, wallets, boarding passes and more. If you think about taking something to keep under the seat, keep in mind that it has to be quite small and not larger than women’s large handbag. to check, and you would even charge for it. 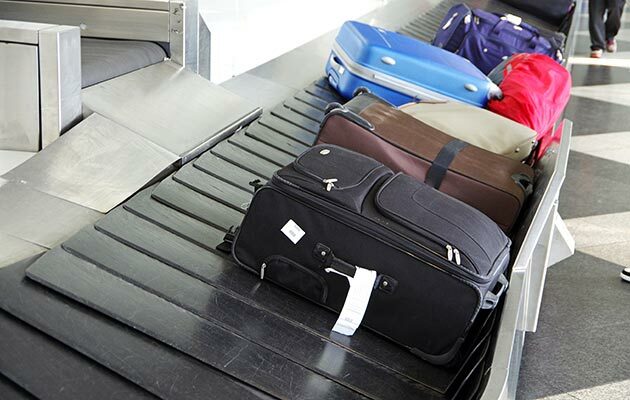 Ensure measuring your case well in advance of carrying it on an airplane and verify the permitted carry-on dimensions of the airline you are going to travel. Do not blindly rely on the manufactured specifications and make certain that your measurements including wheels and other fixed handles attached with the bag. When you don’t include those things, your carry-on may still result in baggage land. Additionally, when you try measuring properly, you want to take into considerable the bag size if it is expanded. Few bags tend to fit well while in compact mode; however will be too bigger once the expansion gets zipped out. Based on the airplane, anything that is above 21 inches is sure to end up in the plane’s baggage area. If you want to carry that much things to check it, and you will find it at baggage claim the sooner you arrive. 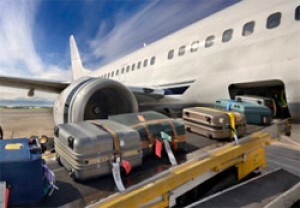 Checked baggage is divided into different categories according to the size. While something larger than 21 inches has to get into baggage, luggage that adds up to above 63 inches in height, depth, and width are considered excess in size, and that will cost you more. What if your luggage adds up to more than 80 inches totally? Some airlines will not even want it to check. That luggage would have to be traveled only by private means. The rates dealing with checking bags are normally more enough to convince people to pack lighter stuff, or, at the minimum, pack everything into the smaller bag if possible. There may also be times while you cannot avoid the use of larger suitcase. In such cases try to check with the airline you are going to make the journey after you measure the size. 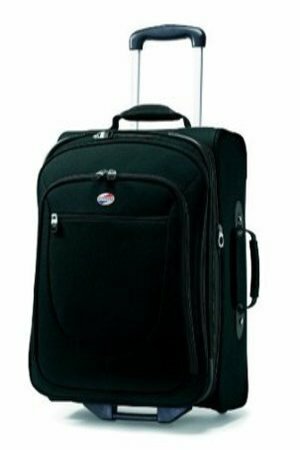 Wheeled luggage is ideal pieces for those people who are seeking for a small and wheeled luggage to bring on to the plane. The majority of the wheeled tote will be suitable for the seat and also small enough to lift inside and out quickly from the overhead storage bins. The wheeled totes can hold magazines, books, a single change of clothes and several other smaller items that you wish to carry along on the plane. Luggage of this size is considered as the global carry-on size since they are permitted as a carry-on for many of the international flights. They are also perfect or trips of one to two days since they have packing space for some outfits, toiletries and a pair of shoes. These are the most famous sizes of carry-on luggage for domestic flights of US. Most of the US airlines have certain carry-on restrictions of 45 linear inches. These are the suitable size for weekend trips or business travelers since most pieces of luggage of these sizes have either a removable or fold able garment sleeve that can carry one dress or suit and has enough space. Many others also have expansion feature that facilitates for an additional two to four inches of packing capacity, however when expanded these sizes would surpass the carry-on restrictions and have to be checked. These sizes are prevalent for travelers seeking for a lighter, smaller option of luggage. These pieces are very large to carry on the place but are suitable for making trips for three to five days. Top Luggage Brands what’s in it ? Here’s what we know about luggage: you need to get a brand name. Sure, you can spend a few dollars less and get yourself a cheap piece of luggage – you might even find a great deal on a luggage set – but unless your luggage is sporting a trusted brand name, you might find yourself in the market for a new piece of luggage sooner than you had imagined. Like most things in the world today, the brands we have come to know and love got that way because they deliver on their promises to be excellent quality and to stand behind their products. You don’t become a top luggage brand because you offer cheap products. Millions of people travel everyday by air, sea, and land, and it doesn’t take long for a traveler to realize that they’ve made a terrible mistake in opting for the cheaper luggage on the market. Stick the brands that know their stuff and you won’t have to worry about your belongings getting ruined on your travels. Rockland is an affordable brand that offers fun and funky designs. While these designs aren’t “business appropriate” who says business can’t be fun? If you are looking for a good quality set of luggage at a good price, Rockland is your best bet. They are the starting point for a good brand name luggage on the market. Samsonite has really made a name for itself in the luggage industry over the last few years. It is moderately priced and looks good too. It’s widely accepted by the business community as their luggage of choice, but it’s durable and sturdy enough for travelling with kids, long road trips and their carry on luggage is great to skip the checked baggage lineup. 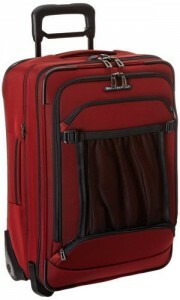 This brand offers a great quality hard-sided luggage lineup as well as soft-sided luggage selection. Delsey offers mid-range pricing for super lightweight luggage. If you travel on the heavy side, you’ll want a piece of luggage that comes in around 4 pounds – which these guys offer. They are bold and bright and great designs and are suitable for business travelers as well. The name even sounds fancy. 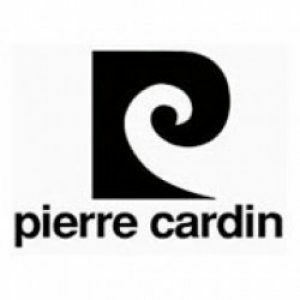 The luggage offered by Pierre Cardin is classy and modern, and comes in at a great price point. It’s lightweight and offers lots of room for your belongings. What’s great about this brand is that it really goes out of its way to make their luggage look more expensive than they are, so you are getting a good deal with Pierre Cardin. American Tourister is a brand that you might find in a department store luggage section. 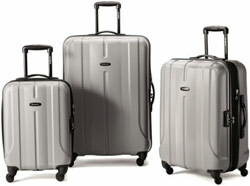 They offer basic designs and offer more soft-sided than hard-sided luggage, but the brand is dependable and affordable. One downfall of this brand, however, is that it is taking them along time to get on the four-wheel spinner style models than other brands. They still offer stationery luggage and two-wheeled luggage options. However, this makes the luggage more affordable, so if you aren’t worried about two-wheeled luggage, this might be a good brand for you. Athalon is known for its rugged and durable duffle bags. They don’t make luggage in the traditional sense, but it makes the list of the top 10 best-selling luggage brands because adventurers of all shapes and sizes buy into this brand to get their gear from point A to point B. It’s got great design, durability and makes it easy to overpack for an expedition or adventure. Travelpro The first brand to introduce the spinner suitcase, Travelpro has been around the block a few times and knows a thing or two about great luggage. It is the choice of many business travelers and it looks great while providing a moderate price point for most models. Briggs & Riley will likely run you the most money when it comes to buying a piece of their luggage. Their smallest bags retail for about $200USD but the quality is there. The designs are sharp and clean, and stand up to a beating on the baggage carousel and in transit. Wallybags If you need something a little more formal than a suitcase or duffle, consider Wallybags for your garment bag needs. This brand uses a patented technology in their designs and they know that being good at one thing is better than trying to be okay in other areas of luggage development. For the business traveler, bride, or wedding party carrying expensive garments, these bags are a must. The U.S. Traveler brand comes in at a large price point, but they offer a wide variety of designs and styles to choose from. The feature both soft-side and hard-sided luggage and while sturdy and robust for air travel, they are also great for a weekend away at the cottage or lake. What to Think About Weight and Look? Summer is approaching and for most of us, that indicates there could be some trips in the weeks ahead. While hauling travel bags and walking along busy airports and terminals could be a hassle, the best way to make things simpler is using suitcases that are easy to handle and durable. 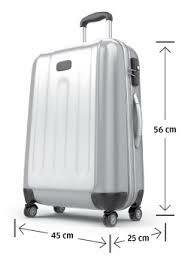 Among essential requirements, while choosing carry-on, vast and midsize luggage were wheel ability. Durability that takes into account handles, zippers and the type of fabric among many other things, was the only greatest predictor of the complete satisfaction. 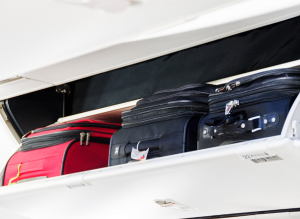 Above everything, the most important deciding factor that plays a significant role in choosing a right airplane luggage is weight and its look. Weight and appearance have to be taken into account absolutely while you are choosing luggage and there are many reasons why it is so. One of the cosmetic issues to be given importance while you are trying to determine what type of luggage to buy is the exterior’s durability. You might be someone who doesn’t care how your luggage appears if it’s sturdy enough and carries your things without the need to leave them behind, but there are huge others who cares much about aesthetics. It is due to this reason luggage which shows dings, dents and scratches are obviously not something they would feel good about. Cases, which come with exteriors that are highly rigid but not completely reliable, such as Tumi carry on luggage and Rockland Melbourne set, are likely to show dents and dings. Also, cases which come in light colors like yellows can grab more dirt at the exterior when they go through a little bit of mishandling. This would certainly not bother you; however it would feel awkward to others. Luggage brand like US Traveler Rio carry-on luggage collection has a history of displaying some markings over lighter colors. This is not a preferable option for other taking into account plenty of other cases which do not have this sort of issue. and weight of a suitcase really matters to some extent. You do not need to be seen anything lugging a not so good gym bag around, which is full of business suits. 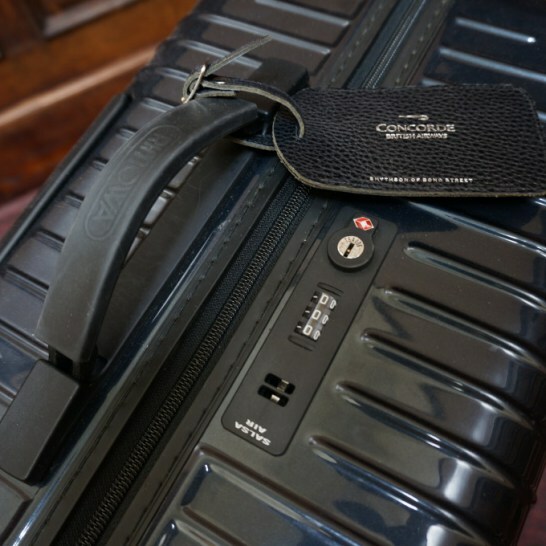 Business luggage should look organized and streamlined without a whole lot of extras. Cases, such as the Travelpro Maxlite 2 have compact and refined business look that is usually needed for people who tend to travel often to various destinations. Streamlined or more refined, what to prefer? If you have ever experienced standing for baggage claim, you would had probably found a large series of dark blue, black and gray luggage that all look organized and refined. It is due to this reason; it can be tricky to find which one is yours among the bags of over two hundred other people who are searching for their suitcases. While business luggage would assist you to look professional while you are checking into a hotel, this professionalism will put you spending additional time while you try to leave the airport. If you do wish to enjoy the comfort of being able to locate your luggage halfway across the airport, you must look for bright colored options. There are various types of them available, and luggage like American Tourister in bright red is the right choice. The other option is Rockland Melbourne hard side luggage set that comes in plenty of colors and also in different textures. Take into consideration that the things you carry in your luggage have the ability to be heavy. Thus you don’t need to add much more weight because of the bag. Lightweight options such as Delsey Luggage Helium Aero can offer you hard side and polycarbonate protection, while not resulting more weight to an already packed case. Rolling bags would be great for you; however rolling bags, which are too heavy to be moved in and out of the vehicle, are of no help. buy luggage than simply looking at whether or not it carries your clothes. For some people, the appearance matter. For most of the employers, your look is a great deal and thus, they rely on first impression all the way down to your luggage. The weight must also be considered, particularly when you are accountable for getting in and out the car or overheads. Though lighter is better, but reliable and sturdy is paramount. Determine what you can carry comfortably, but ensure your lightweight luggage won’t fly away by getting broken easily. Now that you have had an insight of what to think about look and weight of your luggage, it is time to decide the right one for you. All that you need to do is determining what type of a traveler you are. Check out whether you travel light or if you carry more things. These considerations must help to know your traveler type. For instance, if you are a type of light traveler, which means that you don’t want many things, you wish to travel light. On the contrary, when you want to carry more things, opt for larger luggage. If you are certain that you would not take your stuff out your luggage while making a trip, the smarter solution is choosing hard case luggage since it will make your clothes less damaged by impacts caused by transportation. If you want to organize your things and segregate them, you must check the best brand for luggage having an amazing pocket organization, however, be cautious, so you do not get lost in those pockets. When it comes to whether you want to push or pull your luggage, you should check for handles in your luggage. Try them and check whether they are convenient enough, since you are going to either carry or pull luggage with them. Get the best use of this guide to choose luggage that meets your need on weight and looks. If you are in the market to buy a new luggage, you must decide between the two major types you are likely to discover. You should determine whether you would want soft side luggage or the molded hard-side luggage that are quite popular recently. As they both are really great options, you will almost feel overwhelmed before arriving at the buying decision. To stay cool while buying your desired luggage for travel, whether soft or hard case luggage, you must try exploring the perks and drawbacks of both the types. This article will discuss hard side versus soft side luggage that will guide in your purchasing decision. Soft-sided luggage is typically of fabrics that can move and stretchy, normally a woven nylon fabric, like ballistic nylon or Cordura. Ballistic is the smooth and shinier of the two and with the course of time, it can abrade, however, abrasions won’t compromise the fabric’s strength. Cordura is a bit softer as well as abrasion-resistant, suitable for over-the-shoulder bags. When you consider a luggage made of ripstop nylon or of parachute material, ensure that it is a more denier fabric. Fabric denier indicates the measurement if weight and not the quality. Perks– Normally lighter in weight and flexible, the major benefit of soft-sided luggage is that they can easily fit tight spaces like Samsonite lift spinner.This flexibility allows squeezing in an additional outfit. In addition, a yielding material might be a great difference placing the bag on board and getting it regulated to gate-check. The fabric flexibility also becomes handy while packing a car and storing bag. Drawbacks-Not as shielded as hard-sided and prone to ripping if not the best quality. sides equally and to stabilize the content with a middle divider or an x-strap. As most of the hard-sided luggage close like a clam shell, you would want double the surface space for opening these. Many of the hard-sided luggage are built this manner, but there are few in the market with the top lid opening.It has reviews about brand Rockland Melbourne 3 Piece Luggage of hard-case luggage. Parks– Perfect for protecting breakable content, hard-sided luggage delivers better security because of the integrated locks. They can never rip open with a blade or something else. The majority of the composite plastic hard-sides gets closer using a zipper that can be vulnerable, but aluminum luggage usually comes with a metal draw-bolt latches rather than zippers. In addition, hard-sided luggage gets stacked easily, which makes it unique for cruise ships. If you are about to overpack, a hard-sided one will definitely rein you in. There is no possibility of over-stuffing. For carry-on, it assures that the piece will suit in the luggage sizer of your airline. Cons– Hard-sided luggage scuffs and easily gets scratches and inflexible as well, hence you cannot squeeze anything additional. You want a fixed storage space. Some, hard-sided luggage has pockets outside as well. 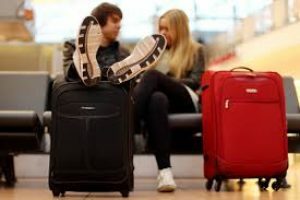 Having discussed the basic details of soft-sided and hard sided luggage along with the pros and cons of both the types, let’s now check the performance of both soft and hard-sided luggage based on different aspects like durability, functionality, lightweight, appearance and price.There are also have first class hard-side luggage sets that just have reviews with elite luggage. for making hard side luggage, while the ballistic nylon weave for soft side luggage has revolutionized the production of luggage in the recent years. However, you should also look beyond the material of bag and pay closer attention to quality and the craftsmanship. It is of no use if the shell of your luggage can withstand even an elephant weight when the zipper breaks, your telescoping handle malfunction or the stitching of a seam gets ripped. You should take into account that wheels, zippers, and handles are where the majority of luggage troubles occur, thus buying an overall best-quality bag should be your good durability insurance in the long run. This exactly represents whether the bag performs what you want it to do. Checking whether you need pockets, deciding the size of luggage based on your needs, choosing between two-wheel and four-wheel, thinking whether you would stick a bag over top, determining whether telescoping handle is the proper height for you and every other item that makes a bag suitable for you. No matter, good or bad, here are few things you should remember while choosing a soft side or hard side luggage. For carry-on luggage, most people prefer opting for soft side luggage since it has exterior pockets (hard-side is only a molded shell). Your carry-on spends more hours being your faithful companion in-flight and terminals and you want quick access to the complete stuff that will make your travel comfortable, like documents, reading the material, mobile devices, water bottle, glasses, tissues, etc. Few hard sides are quite more rounded over the top that feels sleek, but could make it tough to stack small bag over the top. Maintaining the weight of luggage to a minimum is a great deal, both for your own personal comfort and airline weight fees while traveling. There is a great buzz around lightweight of polycarbonate materials utilized in most of the hard side luggage recently and it is actually true. Hardside luggage is incredibly light as comparable to old and heavy plastic luggage that most of you would get as graduation gifts a few years back. The molded polycarbonates are extremely tough, light and come in cool designs and colors. However, you should not fool yourself into thinking they are lighter than that of soft-sided counterpart available today. There are several choices available for pattern, texture, and color, beyond the basic and typical black bag. Hardside luggage tends to win this aspect, as polycarbonate can be molded and created with ideal colors and patterns fairly simple.Most of the extremely lightweight, harder nylon weaves being made nowadays for soft side bags don’t adapt themselves to variation in colors. 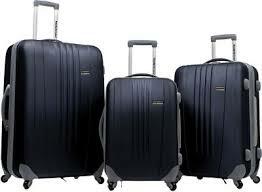 The Tasmania Three Piece Luggage Set is the ideal choice for the travel to carry their stuff in a secured manner. Tasmania collection is made by using a hundred percentages Polycarbonate, it is the strongest material that offers great benefits, and especially you can use this luggage for frequent travel. The polycarbonate act as the hard shell even this material have an ability to absorbs impact when under stress by the way it makes this luggage both flexible and durable. This luggage is packed with more options; especially the abrasion resistant diamond cut pattern offer long lasting benefits and it help to keep the luggage new for longer. This luggage also has an aluminum push button handle system; this system is suitable for easy handling, even this handle also expandable up to 42 inches. It is the self-locking telescopic handle so you can easily make the adjustments based on your height, the dual spinner wheels support for smooth running. Moreover, this luggage have clamshell opening with the imprinted interior lining. Of course, the interior lid available with the U zips meshes cover that ensures your comfort zone. You can easily pack and carry your important belongings in a secured manner because this bag has tie-tapes that offer great security to your belongings. There are two interior zipper mesh pockets available that supports for easy access, even this luggage also available with the additional features, first of all, you can get an extra space to pack more items. The expansion gusset has ability to improve twenty five percentages more packing capacity. Tasmania Three Piece set available with three dial combination lock that supports for secure packing. At the same time the durable top handle offer great support to lift the bag with ease, based on your needs you can use the side handle. Inside the luggage you have zippered compartment to pack the items in safe manner, and the interior mesh pockets available that help to hold small items and some essentials in the secured manner. The convenient add-a-bag strap available to carry any additional bags with you, so it is perfect for any trip, even it is suitable for rigorous travel. This luggage is extremely durable; moreover you can get an extra room you need. The handle is also adjustable to vary height, so try to choose this wonderful luggage to meet your needs. Traveler’s Choice tasmania baggage is great option to all because it is the best travel companion for individuals as well as families. This luggage is equipped with ultimate options, especially its durability and functionality is unquestionable, and the diamond cut design offers extra stability to this luggage. In addition, the retractable aluminium metal handle provides great opportunity to the travelers to make the suitable adjustments. So it is the best choices for the people who need to take their belongings safe during the travel. It is the best luggage option for the people who consider quality, versatility, affordability &style. If you need to get high end quality luggage bags to enjoy your travel consider to choose the Three Piece Luggage Set because it is perfect for all types of travelers. Even it is popular for its contemporary designs and style. First of all this luggage made by using highly durable material so it supports for any kind of move at the same time this material offer great look, even you no need to worry about any scratches, the textured finish help to protect the luggage from scratches. The dark colors are support to hide any wear and tear. The outer material works as the hard shell for this luggage that also flexible over others. Spinner wheels supports for easy move, so you can able to move luggage all around with ease. Of course, you can easily drag the luggage through airports & hotels. Obviously, this luggage is made by using high quality material to overcome all the issues, and it withstands for long time. Zippers are works well, the zippers also come with TSA lock, and the advanced mechanism provided great security to your belongings because no one has chances to open your bag without a lock code. On the other hand this luggage has strong and durable Pull handles and they are also extended, but work fine. Tasmania Three-Piece Luggage Set is spacious, so it is the great choice to carry more items, even the handle help to make extra space to putting jackets, papers shoes etc. It is the compact luggage to move in the busy airports, it is available for the long vacations or short holidays. It is the compact luggage that arrived quickly and it is the perfect choices to pack the items with ease, it is completely free from any scratches and dents. Different color choices available, so you can find your favorite color, even it look more stylish than other models, the TSA approved locks ensures great safety. With this you can carry your important belongings in the secured manner. 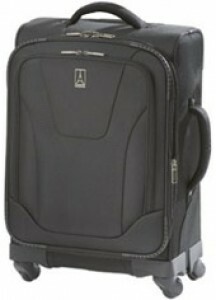 Especially this luggage available with 360 degree spinning casters that supports for easy access and move. The insider zippered areas help to pack items based on your needs, of course, it is very spacious. All the pieces are expandable based on your needs, so you can easily make the adjustments depends up on your needs. This luggage is highly durable over other models, so it is the best choices for the international travelers to carry stiffs. In certain cases, you will face the side zipper issues. 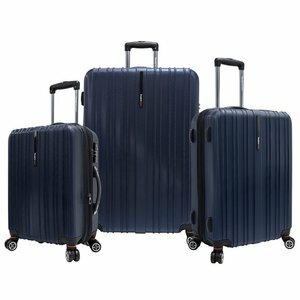 The Tasmania Three-Piece Luggage Set is the best choice for the traveler to enjoy their travel with ease, because this luggage is designed to meet the traveler’s needs. Of course, this luggage has more positive aspects, there are some negative aspects also available, and so you need to pay close attention to purchase the best one. 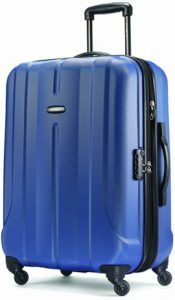 This luggage is highly suitable for all the packing techniques; this luggage is packed with positive benefits so it is highly recommended for anyone. There’s a real trend happening in air travel right now: people don’t want to check their luggage. There are a number of reasons for this: baggage handlers aren’t exactly careful with how they toss around your luggage; it’s frustrating to wait at baggage claim after you’ve deboarded a long flight, only to find your bag is missing; and a lot of airlines charge a hefty fee these days just to check that luggage. If you’ve ever found yourself standing at customer service complaining about broken luggage, or trying to track down missing luggage, you are probably one of the millions of people who have moved to carry on luggage only travel. And if you are, you’ll want to get yourself a multi-purpose, do-it-all carry on piece that can get you from point A to B with all your things packed neatly and safely in your possession. The Briggs & Riley Transcend Domestic Carry On bag is in a league of its own when it comes to luggage design and versatility. It is built to fit most domestic carry on luggage requirements but always check with the airline you are traveling with before boarding any flight with your carry on luggage. This bag offers numerous ways to pack your clothes – including a folding pad for storing your dress shirts and blazers, suits and more. This bag expands and has several exterior storage pockets and sleeves for easy access to your stuff while traveling. 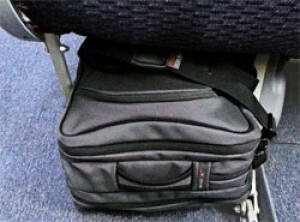 There is a mesh flyaway pocket on the front of the luggage for holding your jacket, books, or other items. But with functionality comes a price, so if you are a serious traveler, you’ll want to invest in a good piece of luggage like this carry on from Briggs & Riley. This bag not only provides you with a generous amount of storage space for a carry-on, but it also looks great as you wheel it behind you in the airport. While this bag has a lot of features and storage options, the one downfall of it is that it only has two wheels. If you don’t care about wheeling luggage on an angle, then this won’t matter. The carry on luggage piece is ultra-sturdy, and the two wheels on the exterior of the luggage are rugged and well-built. What’s more, there is so much space in this piece of luggage because the telescopic handle is on the outside of the bag. You don’t see this kind of innovation in luggage very often, but it’s a great feature in this bag. When it comes to choosing the right carry on luggage for you, you’ll likely spend a lot of time in stores and searching reviews online to find out what will suit your needs best. One thing you want to consider is the warranty and repair or replacement options for the bag you choose. 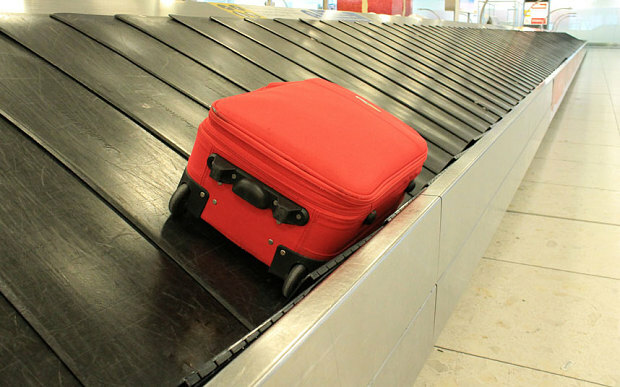 Because it is highly unlikely that your carry on luggage is going to ever see a luggage belt in the airport, you probably don’t need to worry too much about severe damage from occurring, but manufacturers defects and material issues can happen in any bag. Briggs & Riley offer one of the most comprehensive warranties on the market today. It’s an unlimited warranty that will cover any problem with the bag’s manufacturing for as long as you own it. What’s more, it covers airline damage. Not many luggage manufacturers can say that. But At present, most of the travelers wish to purchase the most suitable and reliable travel luggage to get an ultimate travel experience. Choosing the expandable rolling carry-on is one of the great choices and it is always ideal for the people who want one bag for both air travel and international travel because the short and wide wheeled configuration brings ultimate comfort, of course, it offers the maximum packing capacity, and so you can pack more stuff inside this bag. The CX technology expands inside space so it is highly suitable choices for the frequent travelers. Unlike, other types of bags it is beneficial and great, because this bag is very spacious, even it is extremely durable. First of all the manufacturers use durable and expandable material to offer ultimate comfort to the traveler, and this bag includes excellent garment folder that works well forever. The design of the bag is suitable to drag on different floor especially you can move this bag smoothly on the concrete floor. It is the brand new suitcase that supports for multidirectional move. 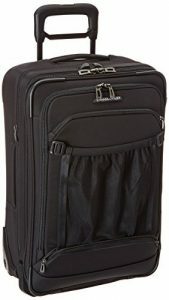 If you need to purchase the better suitcase for your travel then you may consider Briggs & Riley Carry-On Expandable Upright, it is the effective bag to carry all your important stuff in the safe manner. Structurally, it is durable and very sturdy bag, in general, the fabric is also designed well to take a real beating, the wheels and the handle also arranged well. Along with this the durable structure and style last forever, this bag is designed based on the internal components so it is better for the international travelers. Inside the bag you can find the plastic lining that protects your stuff at all time. In addition, this bag has standard interior as well as exterior pockets that support to carry small items in the safe manner. The small mesh pocket available on the outside and it is rolled up & zipped. This little pocket is very useful for holding a jacket while you are waiting in the airport. Along with this the narrow zippered pouch available between the 2 rails, it is placed near to the extending handle. This bag is expensive butit offers a wide range of benefits, so it is the worthy investment over others. Briggs & Riley Transcend Domestic Carry-On luggage is always ideal and unique for very frequent travelers obviously, you can get lifetime warranty while purchasing this bag, with this you can repair any functional problems found in this bag, if you are the infrequent traveler try to choosing this wonderful bag. The online stores also offer many discount offers while choosing this bag. One carry-on bag is ideal luggage to enjoy two to three day trip and this bag is equipped with many features, so it supports for different packing methods at the same time this bag offer through security. It is the stylish bag and it is very well constructed, even the handles are sturdy, durable & easy to handle. In addition, the stitching is also tight; on the other hand, you can get great control with the solid frame. You can handle this suitcase easily because it has two rears wheel that help to make this case quite stable than other models. The underside shows minimal tear and wear while rolling the case, so it offers long lasting benefits. It is ideal for all surfaces, like streets, sidewalks, roads etc. This case available with durable handle and it is easy & simple to raise that is long enough for the travelers, even you can make the adjustments based on your height. This suitcase has netting on its front side that supports for the jacket storage when you waiting or sitting in the airport. Additionally, the speed through pocket is available on the front side of this bag, it is great to hold the quart sized bag of liquids. Obviously, it is highly convenient to hold the bottles with through security. This suitcase has durable exterior zippers that always move smoothly. At the same time the pulls are very attractive. On the top you find outsider handle which help to offer more spacious interior room. Moreover, the shirt protector works great that keeps your shirts and clothes with minimal wrinkling, in order to avoid the over wrinkling you need to fold shirts individually. The interior space is also featured with the netting close that includes standard quad closure that hold all your stuffs more securely at the same time it will wrinkles them less than other models. On the other hand this case comes with lifetime warranty, so you can enjoy great travel experience by choosing this bag. The Carry-On Expandable Upright is too bulky, so you need to double check dimensions at the same time you should make sure it is allowed on airlines or not. This suitcase is heavier than other model, because the size of the case is also big, so you need to may sure about the size. This bag does not includes any liquids pouch or separate bag. There is no shoe pouch or bag. The exterior pulls are attractively designed, in certain cases it will damage easily, so you need to check the bag thoroughly. Of course, the exterior handle available in the outside that offer great interior room, but in some cases it will add to the exterior dimensions. Apart from that this bag is so expensive over other models. Any bag that offers multiple storage options, flexible use of space, and a telescopic handle on the outside of the bag to save room is a bag worth investing in. Many people are moving carry on luggage as a long-term solution to baggage issues at the airport. Look at it this way: sure, the bag probably costs more than you were hoping to spend on a piece of carry-on luggage, but after a few trips, the money you save on baggage fees will pay for this bag. If you are looking for exceptional quality backed by one of the most comprehensive warranties on the market, plus a place to store your suits in style, this is the bag for you. Almost every frequent traveler need to buy the top quality travel luggage to enjoy their overall journey, choosing the best travel luggage is always important to enjoy travel in a happy manner, when it comes to choose the travel luggage you have lots of choices, as the frequent travel you need to find the ideal one to meet your exact needs. so far, Samsonite has made great progress that help to ensure comfortable travel, in the market you can find different range of luggage under different price ranges, usually people need to find the reliable & well organized luggage because it help to access all the items with ease. 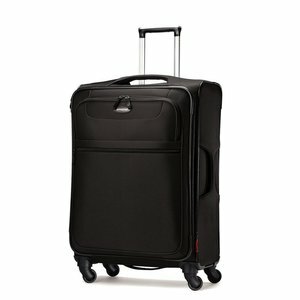 At the same time the traveler need enough space to carry much clothes, especially people prefer the luggage that would be easily wheeled in & out, for the easy movement travelers prefer to buy the Samsonite Lift Spinner 25-Inch Expandable Wheeled Luggage to enjoy lot, of course, it is highly durable and comfortable even it is easy to use. This luggage is also comes in a range of pleasant and attractive colors. Of course, it has 3600 spinning wheels that help for the easy move rather than these wheels also allows for the defined multidirectional maneuvers. So you can move the luggage in any direction. All the wheels are attractively and perfectly enclosed in the ecto skeletal hubs that help for a smooth move. This luggage has excellently lined interior along with the panel pockets on its front side that allow to packing small things. The pull handles help for easy carrying. Favorably this luggage has side zippers that support for expansion when needed. The Samsonite luggage is suitable for all the travelers because it supports for different traveling techniques. Even the cost of this luggage is also less over others. Unlike other models the Samsonite offer great benefits and it is the comfortable choices for the traveler to carry their stuff with neat and smooth. Here some pros and cons of the Samsonite listed for your reference. Samsonite luggage has inline wheels that supports for multidirectional movements, so you can push the luggage effortlessly while in upright position. The 3600 spinner wheels support for the smooth move, so you no need to put efforts to move the luggage, and it is ideal for the individual and family. The handle gives complete control to you, so you can easily push or stop the luggage instantly. 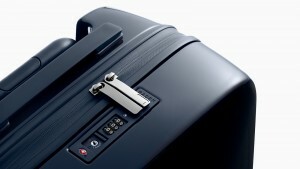 Of course, it spins 360 degrees so you can easily carry this luggage in the crowded area. Samsonite luggage is perfect to pack your things with ease, it is the full-size luggage, it is the 25″ luggage so you can pack your stuff in very neatly, and you can pack many items inside your luggage with ease. Inside the luggage you have a nifty open side zip pocket, and the front panel pockets support for the easy storage. Inside of the Samsonite luggage is very roomy and it is suitable to pack more items. This luggage stays under the 50-lb limit, at the same time this help to pack as much stuff with ease. It is the lightweight luggage so you can carry this luggage easily. So you no need to struggle with lifting, favorably it is the lightest luggage on the market available at pleasing rates. It is the attractive luggage that meets all your criteria. Samsonite made by using high quality material, and the side grip handles available to handle this luggage anytime soon, obviously, it has handle on its bottom end, so you can easily hold the luggage with both hands, and this will cause less wear and tear. It is very light in weight that supports you to carry many items without considering the weight limits. This luggage available with the zippers that offer maximum closure ability at the same time you can easily lock this luggage for extra security. Obviously, the zippers are made by using very strong and unbreakable alloys so these zippers also withstand the constant use. On the other hand, the double zipper pullers offer a great comfort to the user. Samsonite luggage definitely looks prettier over other models, and this luggage also available in different colors, for this most of the traveler wish to buy this luggage, especially it is preferred by the International traveler. This luggage available in three different attractive colors and you no need to pay any extra charge to pick your favorite color. Its elegant non-pompous design offers a great look, and it can be suitable for variety of occasions as well as purposes, in general, this luggage made with poly ethylene material that offer long lasting life and style, so it never destroyed by abrasion. In some cases people have faced the zipper issues, because instantly the zips are fall off or lose, it is the biggest problem. So you probably check whether the zippers are working or not. In order to avail the perfect option, you need to pay extra attention to the zipper sliders. It is one of the negative aspect, due to this the external pockets becoming unsafe. It is the biggest issues, in some cases the top handle does not perform smooth, so the user will face many difficulties. First of all it is very stressful when the user needs to move the luggage on their way. 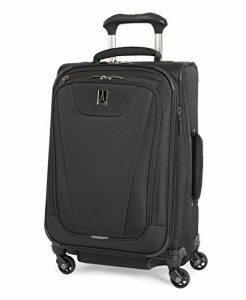 The Samsonite Lift Spinner 25 Inches Expandable Wheeled Luggage also has a wide range of positive aspects and the same time it includes few negative aspects. In order to find the best luggage you need to check the overall product quality. In short, it is the best luggage to buy, because it is suitable for different packing techniques, so you can easily carry much stuff in your luggage with ease. To get clear idea about this luggage you may take the online reviews which help you to understand all the details.